With the rains finally (or hopefully) subsiding, it's time to stop work on that ark and head back to 4MRMarket for the bounty of Summer. 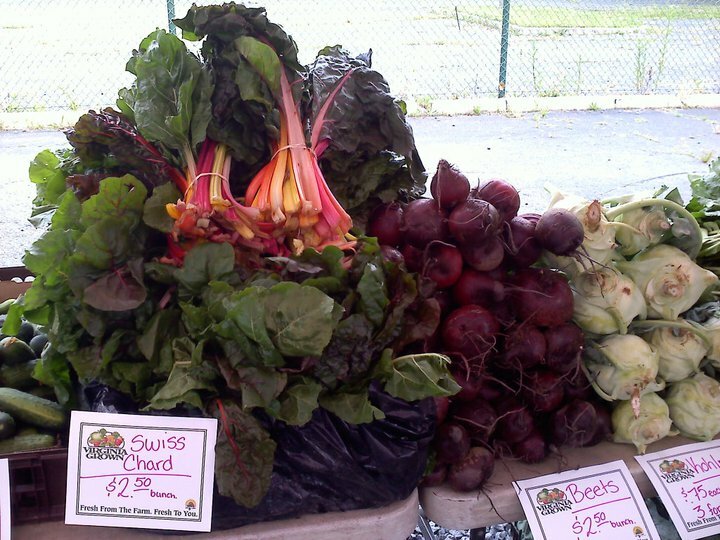 This Sunday C&T Produce is highlighting their Swiss Chard, known as the "Go-to Heat-wave Summer Green". Here's a suggestion for preparations from The Southern Kitchen. This Sunday's 4MRMarket is here to help conclude your 4th of July weekend and all those cookouts and parties you have planned. Make sure to load up on pasture-raised beef and local pork from Stifler Farms and lots of great sweet corn and other grillable veggie goodies from C&T Produce. Top off burgers like a true gourmand with a perfectly crafted cheese of your choice from Tom's Amish Cheeses! The key ingredients you need for a great, sustainably sourced 4th of July are right in your back yard at this Sunday's 4MRMarket! Some come on down. Sunday will also be the 4MRMarket Stage debut of the Scrub Pines. 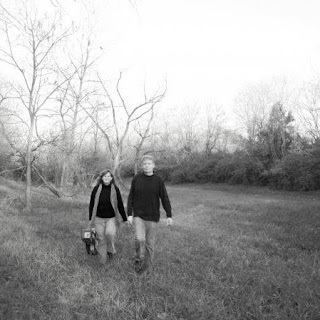 Andrea and Nelson from Hyattsville, Maryland will be "sharing a collection of acoustic ballads and instrumentals, gathered from deep in the woods, along the river and up in the hills" from about 10am till Noon. 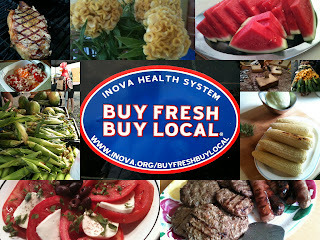 The Buy Fresh, Buy Local and Win campaign continues this weekend at 4MRMarket!! Remember to bring your “Farm. Fresh. Pledge.” punch card if you already have one. Or, if you didn't get started yet, just ask for one at 4MRMarket and earn one punch for each $10 you spend on Virginia Grown products. Collect all 14 punches for a chance to win a Virginia Grown® / Virginia’s Finest® gift basket valued at $250. (See the official rules for more details). You can fill up your bags with a great selection of produce, meat, cheese, teas, health and beauty products, and more. C &T Produce (White Oak, VA) - A huge selection of locally grown produce from a locally, family-run farm in Stafford, Virginia. The Stifler Farm aka "What's For Dinner Now" - Farm-raised Black Angus beef, humanely raised on lush pasture fields of the Shenandoah Valley, naturally farmed pork...and now... Uncle Frank's Grilling Sauce!! Tom's Amish Cheese Store (Lancaster, PA) - Artisan Cheese and yogurt, farm-fresh eggs, and Pennsylvania honey. Whole Health (Alexandria) - Organic teas and body scrubs from one of the largest Message and Acupuncture Therapy businesses in Northern Virginia (approved by the Alexandria Health Department). St. Elmo's Coffee Pub (Del Ray) - Brewed coffee, tea, and always a few extra goodies! Charlette Marie Beauty (Centreville, VA) - A naturally effective, eco-friendly, line of handmade bath and body skin care goodies. Her products are made with bio-dynamic, natural botanical active ingredients. Old Town Suds - (Alexandria) This maker of eco-friendly soaps, cleaning supplies, bath bombs, and more! Old Town Suds started because Steffanie was allergic to most commercial soaps on the market; then she became really sick and wondered if her health was being made worse by everyday chemicals. Their decadent soaps and nose-pleasing cleaning products are tough on dirt but easy on humans, pets, and the Earth. Look for Port City Beer soap and Legend (Richmond, VA) Beer soap plus the Cup of Joe soap that looks like a latte! Crafts available on a rotating basis. See below all the ways to help and participate in the market! BUY. Proceeds of our 4MRMarket T-shirts go to support the expansion and revitalization of 4MR Park. They cost $12 and come in 4 colors. See us model a few at the market. You can pre-pay online via Pay-Pal (send money to 4MRM@arlandria.org). DONATE. Help 4MRMarket help 4MRPark. Tax-deductible donations can be made to support us in our efforts to revitalize Four Mile Run Park. Donate to the City's Living Landscape Fund to fund tree and other amenities at 4MRExpand More information here. HELP. If you'd like to volunteer with the 4MRMarket, go to: volunteer.4MRMarket.org to sign up or look for the "volunteer" tab on our website. You'll be able to volunteer to help process SNAP/EBT and Credit / Debit Card sales, help us keep our books, help set up or tear down for the market, or help us find musicians to play the market. You can also find a Market Manager to ask to help, or email us at 4MRMarket@arlandria.org for more info. READ. Keep up to date on all the goings on by following 4MRMarket on Facebook, Twitter, Google+ or via our website and blog. SPREAD THE WORD. Please tell folks about us. And tell folks about some of the great things we're doing. For instance, all SNAP/EBT participants can take advantage of the Inova-sponsored "Double Dollar" program again this year that doubles the first $10 SNAP participants spend at the market. 4MRMarket is the first farmers’ market in Northern Virginia (and still the only) to accept SNAP. And C&T Produce now accepts SFMNP vouchers! 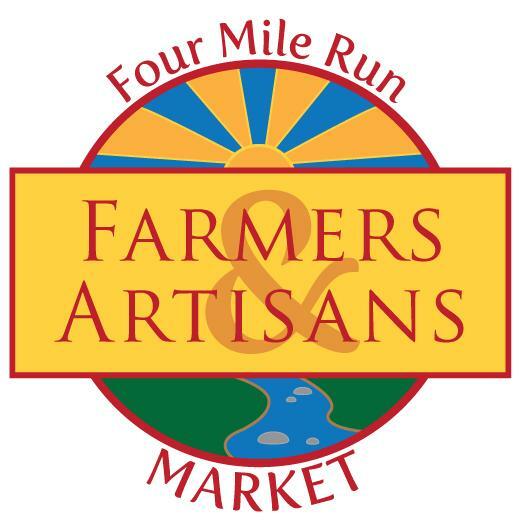 4MRMarket is open every Sunday from 8am until 1pm from April 14th until November in Four Mile Run Park at 4109 Mt Vernon Avenue, Alexandria.